Jakarta, 31 May 2016—As an interconnected community of nations, ASEAN aspires to build a united, peaceful, and prosperous region. Building on the Roadmap for an ASEAN Community 2009-2015, the Association in November 2015 issued blueprints to define, up to 2025, the characteristics, elements and the strategic measures required to achieve the ASEAN Political-Security Community (APSC), ASEAN Economic Community (AEC) and ASEAN Socio-Cultural Community (ASCC). 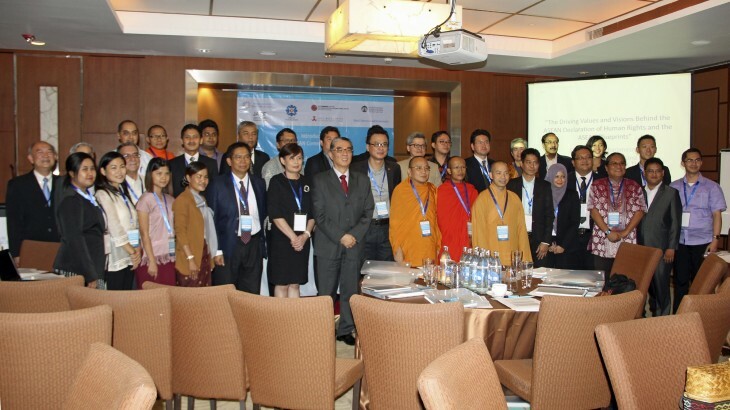 ASEAN 2025: Forging Ahead Together places much emphasis on the need to engage the people of ASEAN to deepen the ASEAN identity, including by involving them as stakeholders in the development of policies and programmes as well as in their implementation and monitoring—these stakeholders include spiritually inspired groups. Thus, on 26 and 27 May, the Human Rights Resource Centre, with the support of the ASEAN Foundation, the Japan-ASEAN Solidarity Fund, Bahá’í International Community, East West Center, WSD Handa Center for Human Rights and International Justice, and Universitas Indonesia, convened a civil society consultation to engage spiritually inspired groups in achieving the goals set out in the ASEAN 2025 Blueprints. Introduction to ASEAN Community 2025: Engaging a Wider Stakeholdership in Enhancing Regional Peace and Security aimed to advance collective understanding and action on the potential contribution of spiritually inspired values and practices to regional peace and security. 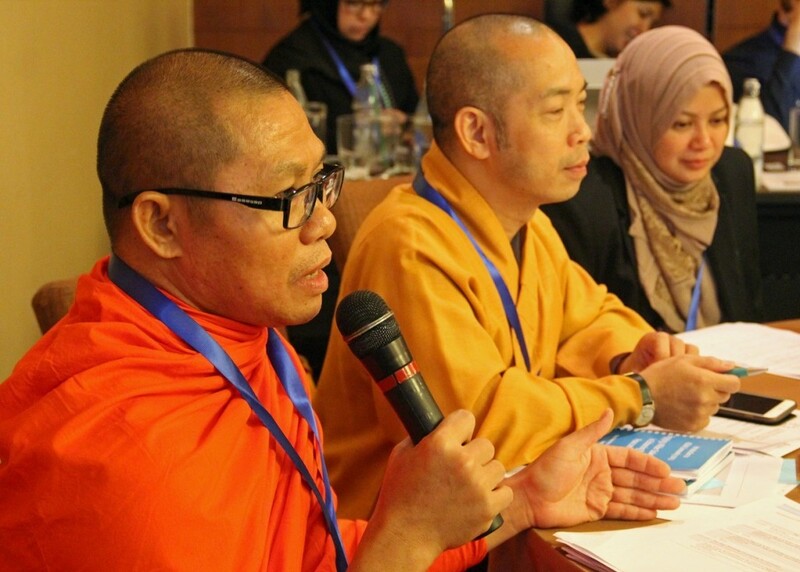 The conference brought together around 30 representatives from across Southeast Asia representing spiritual communities, faith-based organizations, and higher institutions. 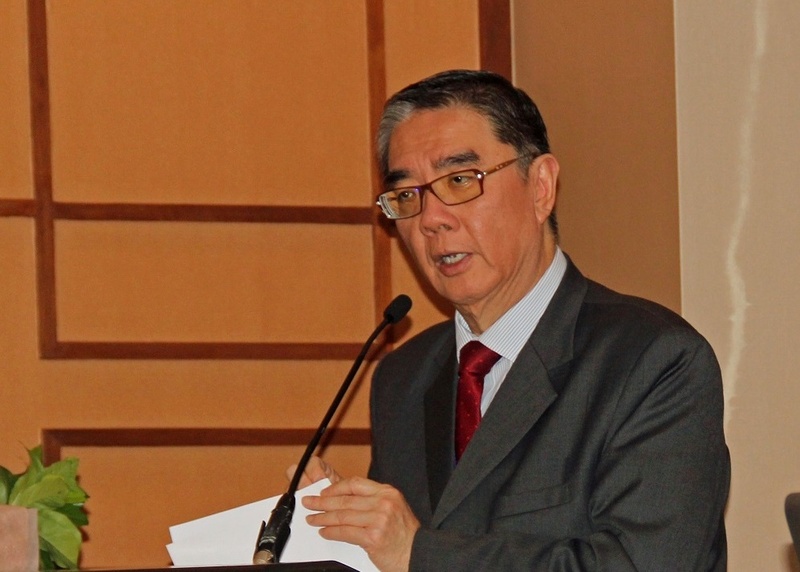 The event featured, as Keynote Speakers, former Secretary-General of ASEAN H.E. Mr. Ong Keng Yong and Mr. Lee Yoong Yoong, the Director of Community Affairs Directorate of the ASEAN Secretariat. Other speakers at the event included Dr. Sriprapha Petcharamesree (former AICHR Representative for Thailand), Ms. Faith Delos Reyes (HRRC Research and Project Coordinator), Mr. Asrul Daniel Ahmed (Chief Operating Officer and Chief of Research, Global Movement of Moderates Foundation) and Mr. Yoshinori Shinohara (Director of Peace Building Department, Religions for Peace Japan). The bulk of the conference invited the active engagement of the attendees through plenary and group discussions, where they gave their views on the vision of ASEAN and the three community blueprints. In considering the term unity in diversity, a key principle found in the ASEAN Charter, they agreed that the rich cultural diversity of the region already necessitates unity in diversity. They also said that the concept should be based on fellowship; that communities and faiths should not merely tolerate each other, but begin to understand the value of other religions or beliefs and, if applicable, heal past wounds and pursue avenues for reconciliation. They also emphasised the need to continuously build a common identity and actively cultivate a sense of belonging in ASEAN by highlighting shared goals, cultural values and history. Finally, they said that unity in diversity means being solutions-oriented by being aware of common problems and having the determination to take collective action. With regard to another key principle in the Charter, shared prosperity, they were of the view that this involves economic prosperity among all countries and all sectors/classes of society; political, economic and social empowerment of vulnerable groups; environmental protection and preservation for future generations; cultural wealth and resilient/supportive social fabric; clean and non-corrupt governments; access to education and tools for economic/social development; and access to opportunities in other ASEAN countries. They also emphasised that shared prosperity entails shared responsibility in that it requires positive economic, political, social and cultural participation and contribution to regional peace and development from the community. The participants also expressed their concerns as well as the possible contributions and areas for further engagement of faith-based organisations with regard to the different community blueprints. For instance, they suggested formalising an ASEAN association of faith-based organizations; creating a regular platform for ASEAN to engage with faith communities on economic challenges and other issues, possibly by appointing a dedicated liaison in the ASEAN Secretariat to work with faith-based organizations; intensifying and expanding interfaith dialogue at both national and regional international levels; involving faith-based organizations in influencing and negotiating with governments in the context of peace-building; and promoting inter-religious studies. The findings of the conference will be presented to the Committee of Permanent Representatives to ASEAN, representatives of the ASEAN Intergovernmental Commission on Human Rights and of the ASEAN Institute for Peace and Reconciliation, and the Deputy Secretaries-General of the ASEAN Secretariat. This presentation, scheduled for 27 June 2016, will seek the inputs of these key officials as regards possible next steps, including the most productive means of engagement with faith-based organizations. The pre-event press release may be accessed here. For more information, please contact Ms. Paula Luciana at info@hrrca.org. ASEAN, News, Thailand, Vulnerable Groups. permalink.